As development of the ATX range continues, there's a couple of opportunities to take a sneak preview of the new synths. There will also be Oscitron demonstrations too. 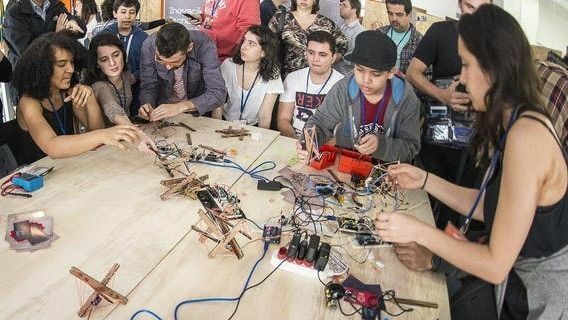 We will be returning to Arduino Day again this year. 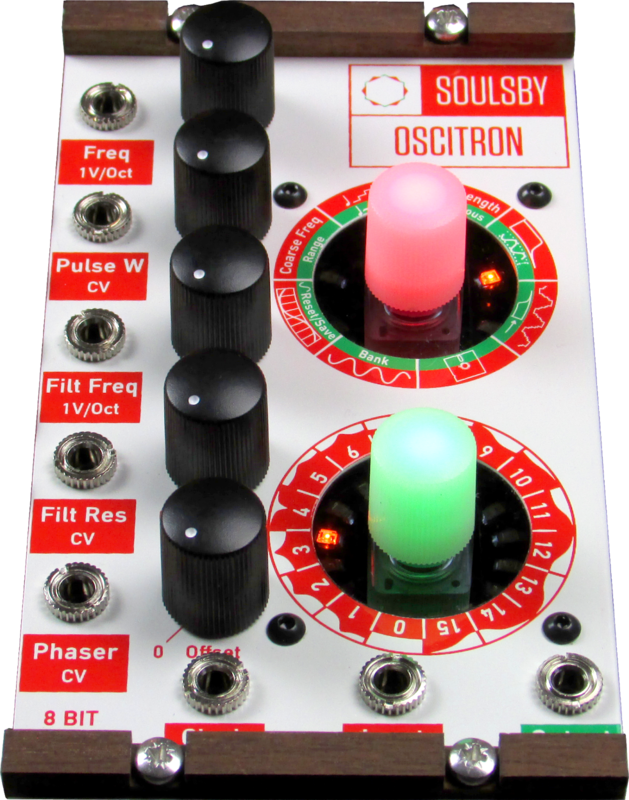 We'll have the Oscitron and other Eurorack modular kit on demo. We'll also have miniAtmegatrons available to play and some kits a special discount prices to purchase. It's a great family event and contains all kinds of Arduino projects like robots and wearables. 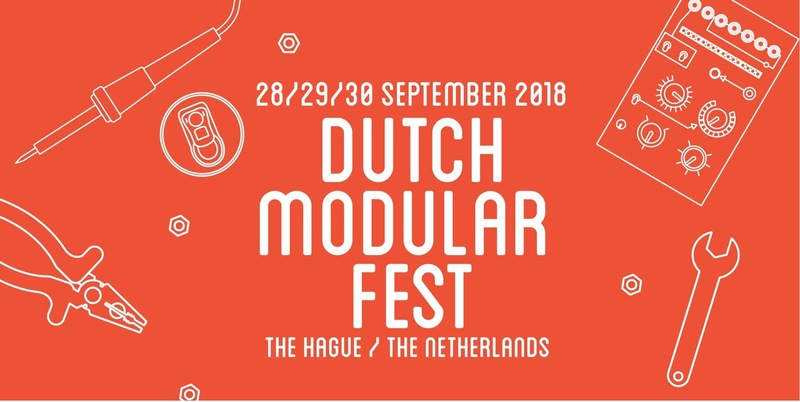 This is a new 1 day synthesizer event in Bristol, featuring synth manufacturers, discussions, DIY, performances and more. It's gonna be one full-on day of synth! Tickets are selling fast, so I highly recommend buying tickets in advance. 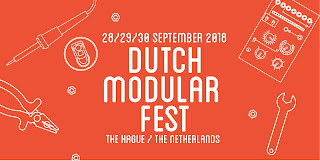 We'll be there with the new ATX synths and Oscitrons to try out. ... and of course we'll be at Superbooth again. More info on that in coming weeks. It'll be the best Superbooth yet! Merry Christmas from Soulsby Synthesizers. A pictorial clue as to what I've spent most of the holidays doing! Stay tuned for a very exciting and action-packed 2019! 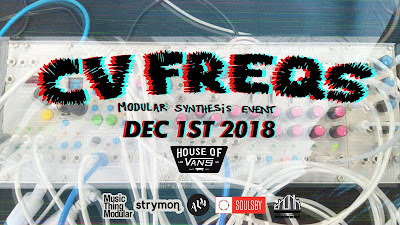 We'll be at CV Freqs in December! We'll have the prototypes of the new ATX range, so if you didn't get to see them back at SynthFest UK, now is your chance. CV Freqs is a great opportunity to either show off your modular kit or come and see new stuff, so if you're London-based and haven't been before, I'd really recommend it! Soulsby Synthesizers will be at these upcoming events. We'll be demoing the new ATX range. There's been lots of progress since the preview at Superbooth in May! We'll also have some mega-bargains for sale, so it'll be well worth stopping by! More details nearer the time. 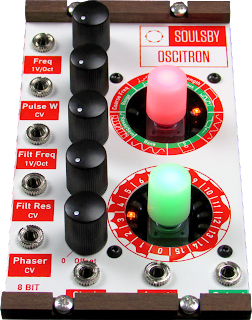 The Oscitron is back on sale again! Apologies for the delay in restocking. You can buy them from the webstore. Juno and Perfect Circuit have fresh stock too (see the retailers list). There was a sneaky peak at Superbooth of the upcoming ATX range of synthesizers that will supersede the now discontinued Atmegatrons. There is a playlist of interviews from Superbooth here. There is also a signup form for the mailing list, which will have all the latest info on the range when it is available. I thought I'd leave a few links here for people who came to the miniAtmegatron workshop and are wanting to hack it. For in-depth instructions on how to operate it, you'll need the full manual. You'll also find the templates for controlling the miniAtmegatron via an iPad, iPhone or Android device on the downloads page. Supported systems are Touch OSC, Lemur and Ctrlr. Finally, you'll find the source-code on Github. You'll need the Arduino sketch repository and the libraries repository. To edit the pattern, edit this file, then upload.